Eastway Com-Naga, a Malaysian company that specialises in paper products, talks to us about integrated labels and how it can help e-commerce vendors, amongst others, to streamline their workflow. The e-commerce market has seen an obvious growth, both locally and globally. In fact, reports have shown that the revenue of the e-commerce market in Malaysia has grown by 21% from 2018 to 2019, with a 18.7% revenue growth projected for 2020. Hence why you’ll see online e-commerce vendors adapting their business processes in order to meet the spike in demand over the last couple of years. The e-commerce scene doesn’t require that much overhead, but it is highly competitive. So any competitive edge is crucial, especially if it helps businesses save cost and be efficient at the same time. One way for this to happen starts from a step that may be small but plays a vital role when it comes to e-commerce delivery: the labels. Integrated labels, what are they? Most of us are used to seeing regular packing labels, but integrated labels are becoming the preferred choice of many e-commerce players—and with good reason. An integrated label is a hybrid of regular printer paper and adhesive labels. The sticky label is included as part of an A4 sheet, and the packing list/invoice and shipping label can be printed on the same sheet. The idea here is to combine both the packing and shipping process to provide a more effective way of invoicing and packaging items. You’ll sometimes find integrated labels include more than one sticky label: a return sticky label in addition to a shipping one. 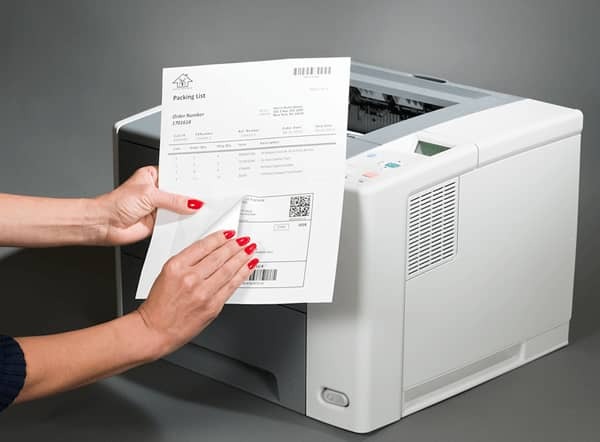 Instead of having to switch between paper and labels at the printer when prepping your products to ship or tearing your packing forms into two, integrated labels offer a way to have both packing and shipping forms on the same paper which means that you can print them at the same time. 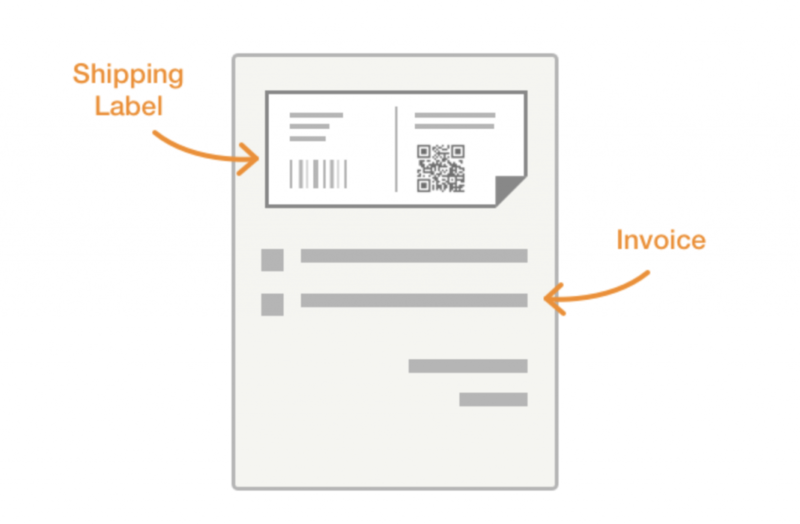 All you’ll need to do is simply peel off the shipping label, drop the remaining document in the package you’re sending to a customer, and apply the label after you’ve sealed the box. He goes on to reveal that these benefits are considered to help reduce many hidden costs that aren’t easily accountable for otherwise. For example, the risk factor of human error is eliminated (or reduced heavily) by using these forms as documentation is kept together right up till the moment your item ships. Yes, we get the irony of the header above. A paper company making paper transitioning to the digital age? It’s a little more complex than that. We’ll start with some background on the company, which has been in the industry for around 3 decades. Coming from humble beginnings as a conventional store-front printing shop that specialised in computer forms in 1985, Eastway is currently one of the major suppliers of printed paper products in Malaysia. However, times are changing with the digital age—and Eastway knows that. Never content to sit on their laurels, Eastway is always on the lookout for innovative ways to bridge the gap to the digital age—through an avenue that most wouldn’t automatically regard as digital, integrated labels. Lee tells us that the exponential growth of e-commerce businesses in Malaysia has spurred the growth of subsequent industries such as e-fulfilment, courier express, and other related industries. The way Eastway looks at it, industries are all moving toward digitisation, and streamlining their processes. But it isn’t such a straightforward process for everyone. SMEs, that form a large part of Malaysia’s economy, sometimes find the digitisation process to be costly and difficult to adapt to. Integrated labels, in their opinion, offer a stepping stone for companies such as these, offering an economic but effective approach to digitisation. Most people don’t think of paper-based solutions when they think about streamlining their e-commerce businesses. But while the front-end of most e-commerce vendors appears to be entirely digital, the back-end is very much the opposite. 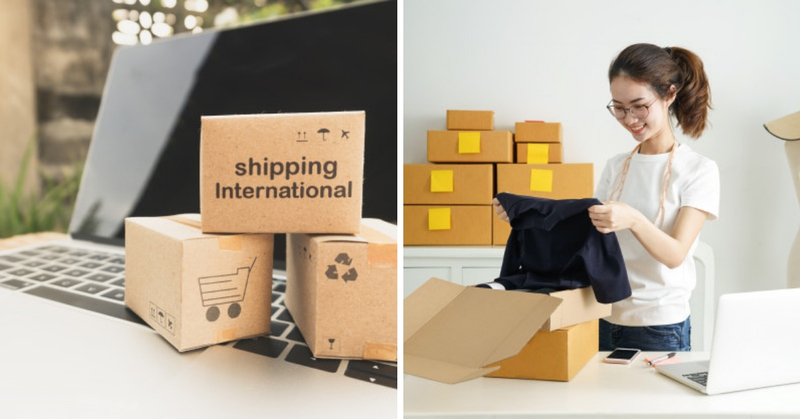 There’s a ton of logistical nightmares to navigate, and tedious tasks like labeling, filing, and even the sheer amount of packing and invoicing can be enough to slow anyone’s business down. Instead, Eastway’s solution of integrated labels is an economical and encouraging attempt at bridging that gap, especially targeted at Malaysian companies. With clients including large corporate MNCs and household logistics brands, Lee also tells us that the pricing points and ease of adoption should help grow the use of integrated labels in the market as a whole. As the product is still relatively new in the local market, Eastway sees themselves as early-movers in the industry—and they aim to stay in front. You can find out more about Eastway Com-Naga and their products here. This article is written in collaboration with Eastway Com-Naga.